With Christmas right around the corner, it’s time to get serious about your festive shopping. Though a lot of people choose to do most of their Christmas shopping online as it can be easier, nothing beats the enjoyment of strolling around London’s department stores during the festive period. If you’re planning to do some Christmas shopping during a stay at The Devonshire Paddington, you may want to head to Liberty. With its beautiful exterior and quaint interior, Liberty is an iconic part of London’s shopping landscape. It attracts tourists from all over the world, as well as locals, who are keen to browse all that Liberty has to offer. Liberty is located in London’s West End, which means that there are also plenty of great bars and restaurants to enjoy after a busy day of shopping. You have probably seen the iconic yellow shopping bags found at Selfridges, but have you ever visited? 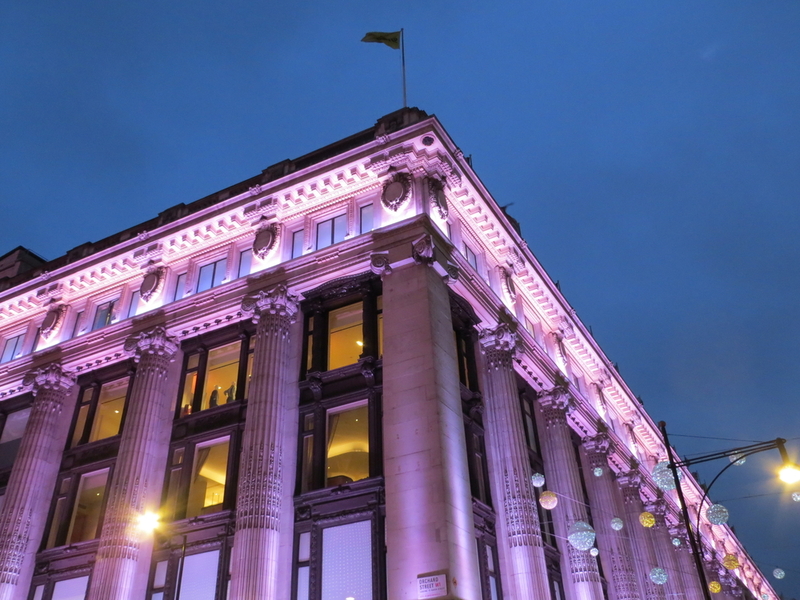 Selfridges has a lot to offer including clothing, beauty, stationery, food and electronics. However, Selfridge isn’t just for those who are looking for luxury and designer stores. A number of high street brands can also be found in Selfridges, which creates a fantastic range of products for any budget. We couldn’t mention the best department stores in London without mentioning Harrods. Harrods is arguably London’s most famous home grown brand and it attracts shoppers from all around the world. With a wide range of departments and brands within, not to mention thousands of products across multiple stores and an entire wing for Christmas decorations, Harrods has something for everyone. Plus, it’s not too far from The Devonshire Paddington and it’s centrally located. As Harrods is so large, it’s definitely a department store that you’ll want to dedicate a fair amount of time to. Even if you only pop in briefly, it’s one of the city’s most iconic shopping destinations. Hamleys is a top spot for family days out in London and it’s easy to see why. Hamleys is one of the oldest and largest toy shops in the world, making it a popular destination for those who are doing their Christmas shopping. Whether there’s a specific toy you’re after or you’re just looking to browse, Hamleys has it all. Even if you’re not planning to buy anything right away, Hamleys is one of the most enjoyable family days out in London. This is because Hamleys always has a range of toys and craft activities for children to try out. When you’re in London, you won’t find yourself short of places to do your Christmas shopping. It doesn’t matter what you’re looking to buy or who you want to buy for, you’ll find it in one of London’s great department stores. With such a wide range on offer, there’s something for every kind of shopper and even the most difficult of people to buy for.